I love traveling, and when I got pregnant, I thought that my traveling days were over. However, I’ve learned that it doesn’t have to be that way! 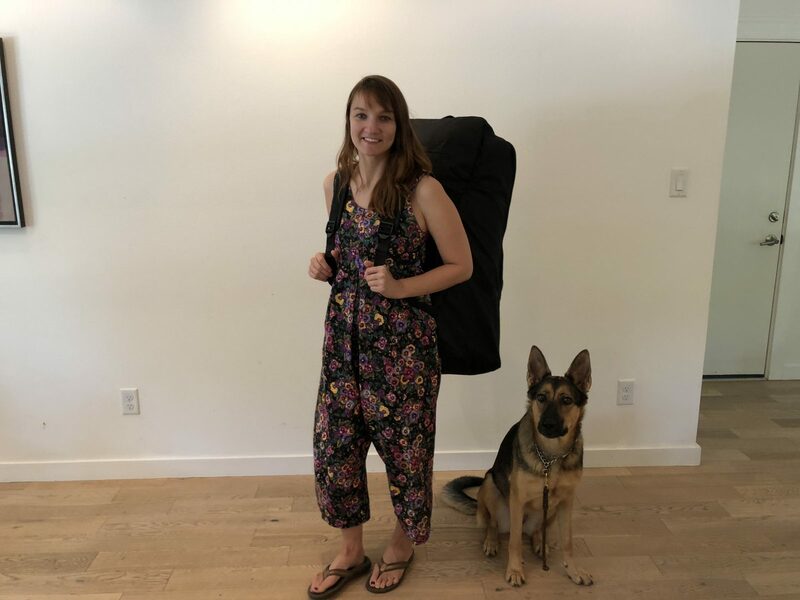 My daughter is 11 months old and has been on 5 trips. We’ve traveled to Hawaii, to Spain, and yes, to Grandma and Grandpa’s house in Michigan. We like to bring a car seat for trips where we have to rent a car. My favorite car seat with which to travel has been the Evenflo Tribute LX. I love it for the high safety ratings and the low price. I Tested 3 of the Most Popular Car Seat Travel Bags. Which One Will Make the Cut? 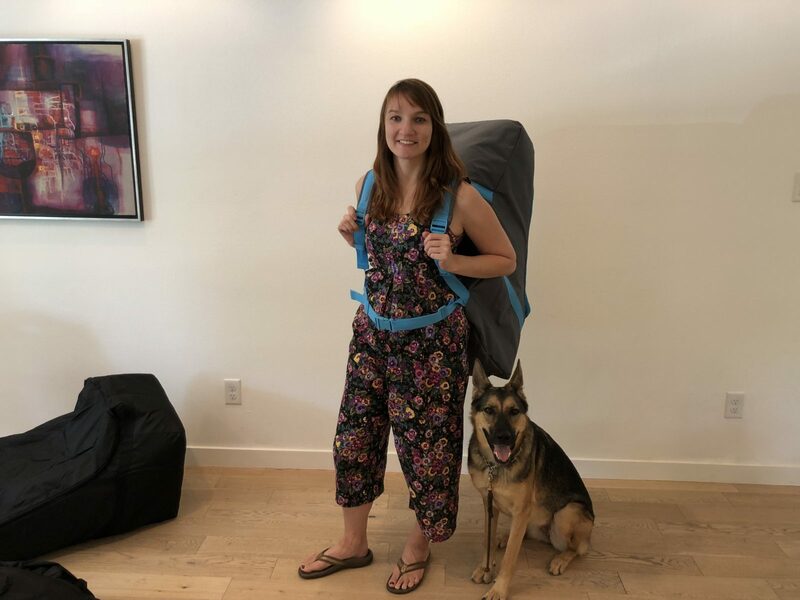 In this post, I’m testing a few of the top-rated car seat travel bags: the J.L. Childress Ultimate Backpack Padded Car Seat Travel Bag, the ZOHZO Car Seat Travel Bag, and the VolkGo Durable Car Seat Travel Bag. These Travel Bags Are Top Rated, But Which One is the Best? 1. J.L. Childress Ultimate Backpack Is the Reigning Favorite, but Is It the Best? People love this car seat for the extra padding. It fits most car seats. 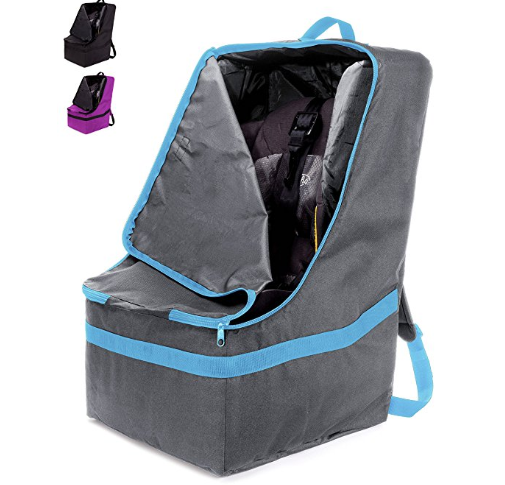 It’s “Amazon’s Choice” for car seat travel bags and has over 1,800 reviews. 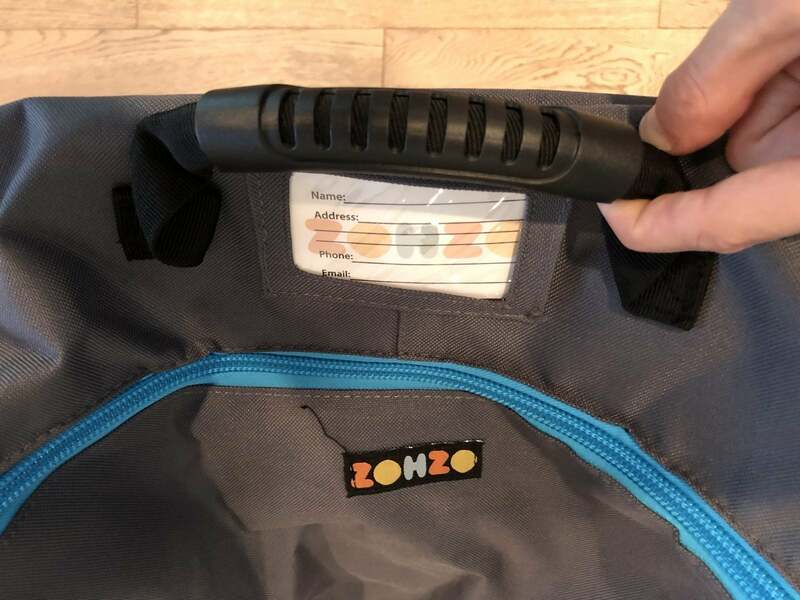 I didn’t like the flimsy handle, and it lacked the waist strap that the ZOHZO Car Seat Travel Bag had. Also, the black color doesn’t stand out, and I like having luggage that I can more easily spot at baggage claim. And the name and address tag was hidden under the handle, making it more difficult to quickly check if it’s your bag. 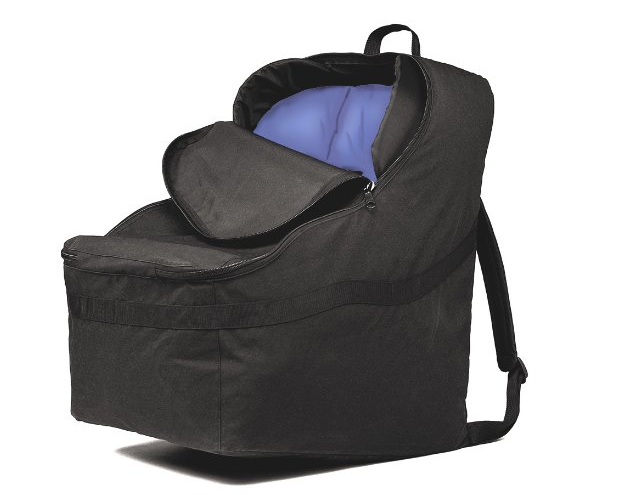 The ZOHZO Car Seat Travel Bag has a sturdy handle, generous interior padding, and a waist strap. I liked that you can choose between black and grey. Personally, I like a slightly more unique color than black so I can easily spot it at the baggage claim carousel. The sturdy handle is very well made, and there’s a name and address section to more easily identify this bag. 3. The VolkGo is Lightweight, but Didn’t Have Enough Features. 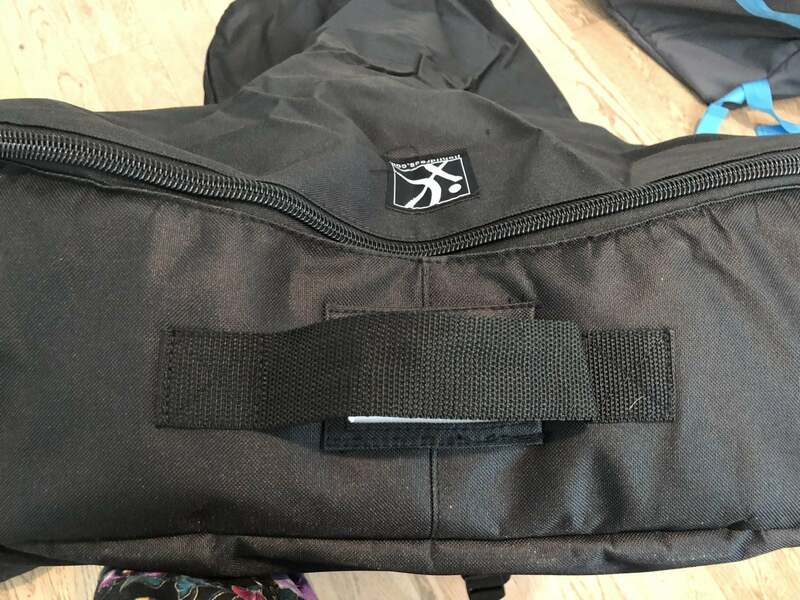 This bag does not have any padding, and does not have any zip closures. 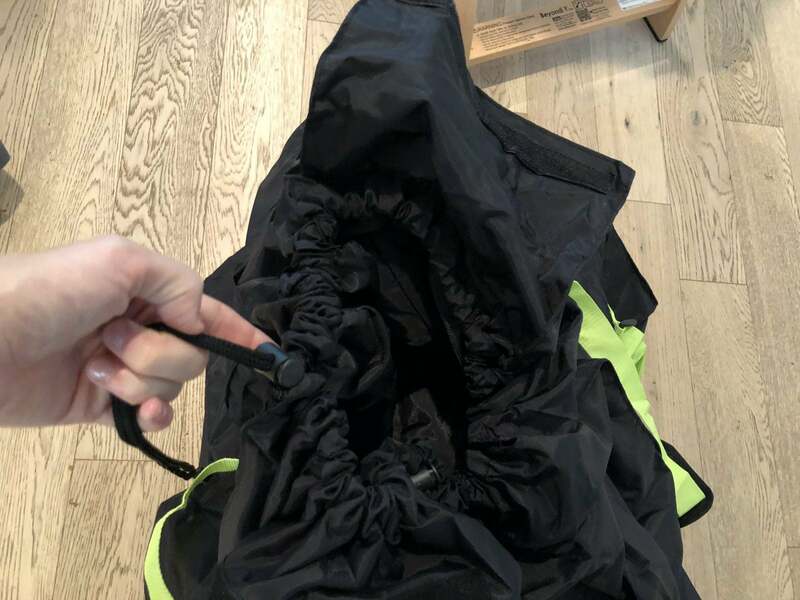 Instead, there are two drawstrings that close and open the bag. 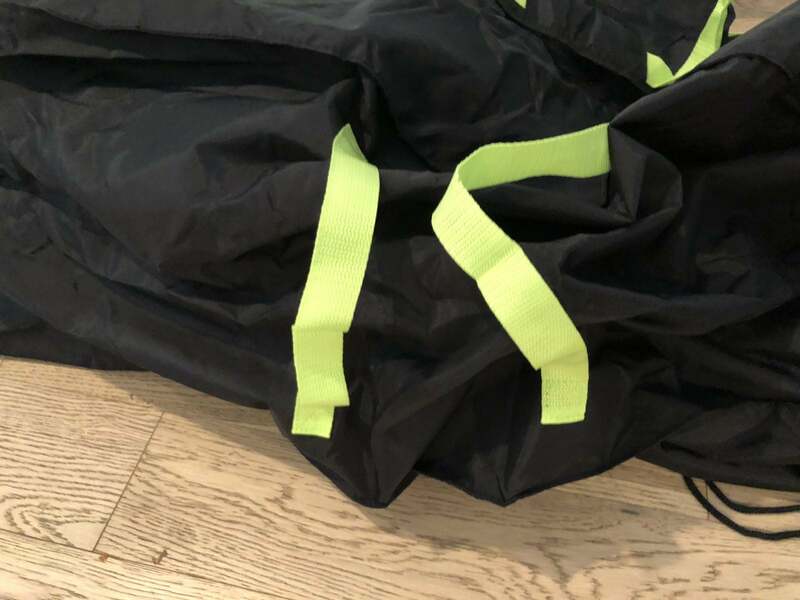 I think the drawstrings might get snagged on something during transit, and the Velcro closure doesn’t seem like it does anything useful because it was very difficult to line up the Velcro straps. The straps are also too flimsy for a heavier car seat, and there is no waist strap. Traveling doesn’t have to stop after you have a baby! I tested the J.L. Childress Ultimate Backpack Padded Car Seat Travel Bag, the ZOHZO Car Seat Travel Bag, and the VolkGo Durable Car Seat Travel Bag. The ZOHZO Car Seat Travel Bag won me over for its sturdy handle, interior padding, waist strap, and accent colors.